I’ve never attended an F1 event of any description, but when another RMS member floated the idea of going to the Monaco Grand Prix back in May of this year, I jumped at the chance. The reasoning was simple – go to the likes of the British GP at Silverstone, and the flights and travel culminate in a few hours of sitting around in a grandstand. There is little chance of getting up close to the teams, drivers or more importantly cars and kit, unless you buy an extortionately priced VIP type ticket (or can wangle one for free). Plus the weather could be horrendous. Enter Monaco. I can hear your protests already. Surely this tiny principality that nestles inside France’s borders on the Cote D’Azure, holiday destination of Europe’s rich and famous, would mean a third mortgage on the house and beans on toast for the next five years. And what’s wrong with Silverstone? I’ll get to the travel part shortly, as getting there from Belfast is easy and cheap. That isn’t the main appeal though. When it comes to these types of events you are there and back on a plane or ferry before you know it. Besides, there’s not much to see and do in rural Northampton and playing vending machine bingo in the local travel lodge is entertaining for all of 5 minutes. Whereas Monaco is the stuff of legends – every step is steeped in history. With every glance, you recognise a place, a corner or a car that means something. Your ‘event’ trip turns into a dream weekend. 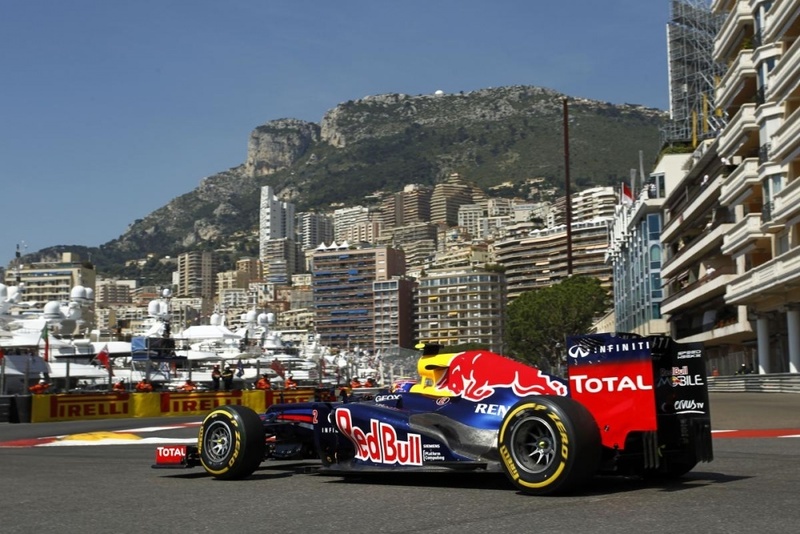 Formula One in Monaco use the iconic street course, passing hotels and marinas with the classic engine noise ricocheting off walls and tunnels, so that’s the visual and aural experience of most other Grand Prixs licked. In the evening these street parts of the circuits are open for you to meander, with pop-up bars and clubs lining the inside of the grandstands where the cars had been racing through only a few hours before. To set the scene, think of dandering under the Pirelli or Tag Hauer gantry signs in the middle of the circuit, pint in your hand at a very comfortable mid 20 degrees evening along with thousands of other F1 and car enthusiasts. You could make your way to the casino square at the height of the circuit, where James Bond fans can relive those moments from Goldeneye or Casino Royale. The locals will be out in force, locals being the exceptionally rich and famous. An in keeping with that theme, the average city car is a multi-million dollar exotica. No one litre economy buzz-boxes here. Red Bull Racing bring a flotilla complete with bar, restaurant, club, pool and such for their drivers and invited celebrities. I’m reliably informed that when we walked past that some chap from one direction, whoever they are, was sitting near us. There is some serious marine hardware that brings the rich and famous to the Monaco GP. Expect to see things like a yacht with matching tender, and matching Ferrari 458. As I was walking along the jetty lusting after these beasts I recognised the silhouette of this tall chap smoking off the back of a boat not 20 yards away from me. It was Jeremy Clarkson. And that wasn’t the last time I would walk past Jezza that trip either. Later that same evening a Police motorcade approached and stopped in font of me, surrounding a Toyota Prius no less. This guy bounded out, and almost simultaneously an officer hopped into the hybrid and took off. The chap that walked past me and onto the waiting super yacht was none other than Prince Albert of Monaco. Apparently he’s a big fan of F1, but he drives a Prius, so he’s not quite an RMS level enthusiast! This is par for the course at the Monaco GP. Arrive on Thursday for the practice and party your automotive heart out until Monday. The cheapest tickets are for the practice sessions and I think you get as much of a feel for the racing then as you do on the Sunday. We did this and watched the race from a pub in the harbour on the Sunday. This may sound like a cop-out, but I’m not in the elite league just yet. Although, given half the chance, I reckon I could lay some black lines round the famous hairpin that Fangio, Senna or Schumacher would be proud of. Ryanair and Aer Lingus fly from Dublin to Nice in France, so flights are generally readily available if you book early enough and decently priced. From there it’s a short taxi ride to the train station (I hailed an Uber) and then by train to Monaco itself. Monaco is expensive to stay in, and we opted to stay in the small costal village of Menton in France, a few train stops beyond Monaco along the Cote D’Azure. Get on the likes of booking.com or hotels.com and shop around for best prices. Prepare yourself for breathtaking cliff views as the train winds its way along the coast. From Menton we got the train in and out of Monaco every day, although the last train is about midnight every day. Get booking! @BBSBOY and I went in 2008 to blow off some steam after final year at uni! Fantastic experience and would love to do it again. That was the year it pished down for the whole race. Monaco is def one to check off the bucket list, can't see me wanting the drop the cash for current F1 though. I've went to Silverstone and Hockenheim in the Michael Schumacher years and hands down Hockenheim was the better race. Partying in the forest camp site with Germans who had kegs of beer in their tents was a phenomenal experience. I have been to Monaco 3 times in the 90s for the races. I wouldn't rush back spa is a far better circuit and not a procession. Sitting at eau rouge with 20 screaming v10 f1 cars going past is a noise and experience I will never forget. Roughly how much did your Monaco experience cost? @Cooper if you get he chance go to the historic gp in Monaco far better and not as many people walking about with there heads up the arse.